A couple of CASA C-212 aircraft are used in France by the Armée de l’Air’s test flight centre, the DGA Essais en Vol. Some CASA C-212s have also been used for irregular air traffic. 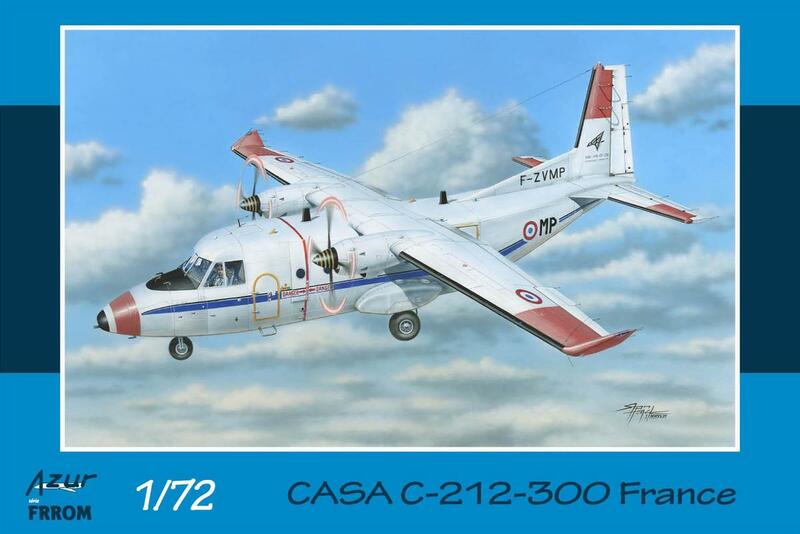 This model brings the CASA C-212 in -100 and -300 versions, contains six sprues with nicely detailed styrene parts including those specific for the French test machines. Clear parts come on another two sprues, some details are offered on a photo-etched fret. The decal sheet brings markings for two machines of the test centre (one of which wears a teeth-packed mouth on its nose), a Dash 300 transport machine and a Dash 100 machine which briefly starred with Soviet-like markings in a James Bond film.